Seams of America original artwork features the United States which is made with actual baseballs and navy blue mesh jersey material. All original artwork is hand-made, hand-signed and hand-numbered by the artist, Nathan Rueckert. 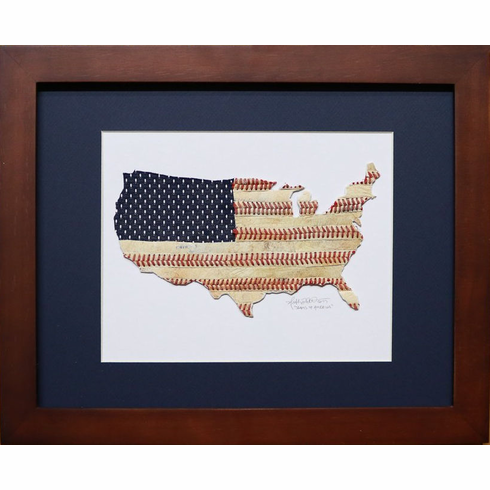 Each baseball USA is mounted on an 8" x 10" mat board and hand-signed by the artist. 8" x 10" Original Artwork - 11" x 14" Elegant Walnut Wood Frame $279.95.